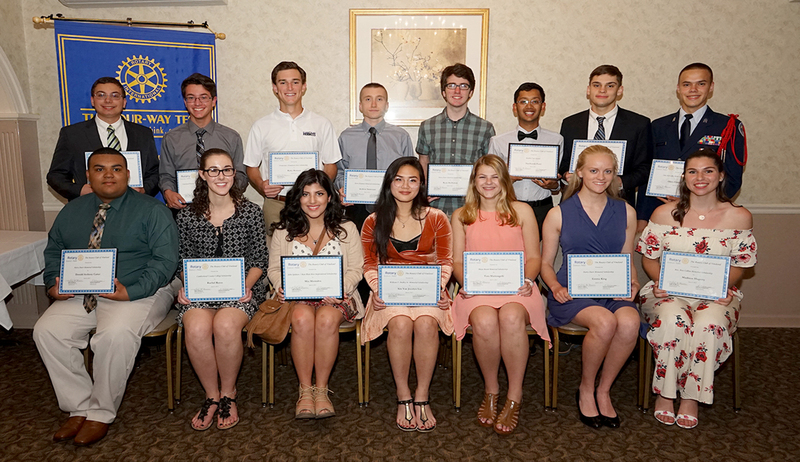 June 7, 2017, Vineland NJ – When it comes to outstanding youth, 16 of the Vineland area’s finest were the honored recipients of $21,000 in scholarships at the Rotary Club of Vineland’s Annual Scholarship and Recognition event on Tuesday, June 7, 2017. 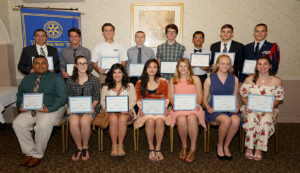 The ceremony, held at Merighi’s Savoy Inn, included the presentation of 13 different scholarships, many named in honor of long-time Rotarians who dedicated themselves to furthering the dreams of area students. As signified by the motto, Service Above Self, Rotary’s main objective is service — in the community, in the workplace, and throughout the world. The Rotary Club of Vineland meets on Tuesdays, at 12:10 PM at the Vineland Ramada Inn. For more information, visit www.vinelandrotary.com. Posted June 7, 2017 & filed under Rotary News.